America as we know it is no more. Free enterprise has devolved into a world ruled by megacorporations. The ultra-rich govern from their towers in the sky while the lower class toil in the gutters just to survive. The corporate states work together to maximize profits and keep the masses placated through the Orbis, a virtual realityscape of online entertainment and the only escape from the bleak reality of existence. Titus Remington is the son of the CEO of Roman Biogenics, but when his father is convicted of treason, a reluctant Titus finds the mantle of leadership thrust into his hands and must prepare himself to govern his corporate state. However, in his quest to uncover the truth that his father sacrificed everything for, he stumbles upon a dark conspiracy of epic proportions. Now Titus must make a choice: take the throne and wear the crown or risk the wrath of the council to fulfill his father’s legacy and set things right. But this isn’t the land of the free and the home of the brave. This is a world without justice or hope, a world steeped in corruption and sin, where morality comes in shades of black and gray. This is Democracy Inc, where a life well led means nothing when pitted against profit margins and the bottom line, and with the odds stacked against him, Titus may very well lose everything . . .
Click here to pick up your free copy of Democracy Inc in the Amazon Kindle store. 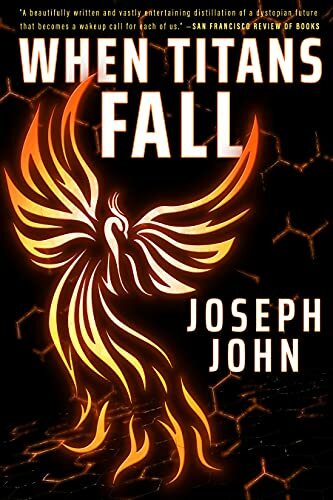 You can visit Joseph’s Amazon author page if you click here. Eddie was eleven-years-old when he was hit by a car, wounding him and killing his sister. That’s when he first saw her. He was twenty-three when he had his second near-death experience. He saw her once more, overpowered by the demonic, destitute exterior that scarred his mind. Now he sees her when he’s awake. Everywhere he looks, every time he closes his eyes, she is there, making him weaker. She has chosen him and he is yet to understand why. 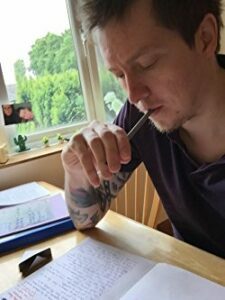 Rick now lives in Loughorough, where he works hard at writing horror and thriller novels, most notably known for The Edward King Series. 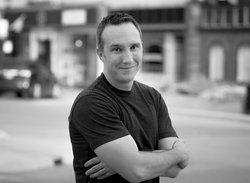 You can visit Rick’s Amazon author page if you click here. Private investigator and forensic accountant Katerina Carter uncovers a sinister connection between blood diamonds and organized crime. Then two company employees are brutally murdered and her investigation becomes much more dangerous than she had ever imagined. Can she can stay alive long enough to expose the real criminals…or will her first case be her last? 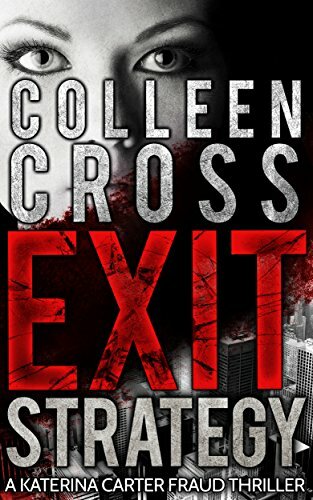 Click here to pick up your free copy of Exit Strategy in the Amazon Kindle store. A corrupt system. A city in meltdown. A rogue cop, bent on revenge. Who will deliver justice? Blood on the Streets is the first in the London Large crime thriller series, featuring the exploits of Detective Inspector Harry ‘H’ Hawkins, an old-school London copper with over thirty years of besting villains under his belt. When a bloody international gang war threatens to rip the metropolis apart, ‘London’s top copper’ finds himself under siege as never before. Haunted by flashbacks of the horrors he experienced in the Falklands War, held accountable for the unstoppable wave of violent chaos that is turning the streets of his city red with blood, hounded and ridiculed by a media he cannot understand and continually thwarted by an establishment cover up of he knows not what, the big man is bang in trouble. As the chaos in London reaches boiling point can H, against all the odds, bring the streets under control, see through the fog of a high-level conspiracy and rescue his partner Amisha before she is killed by her ruthless kidnappers? And will he himself be forced to step outside the law to do so? 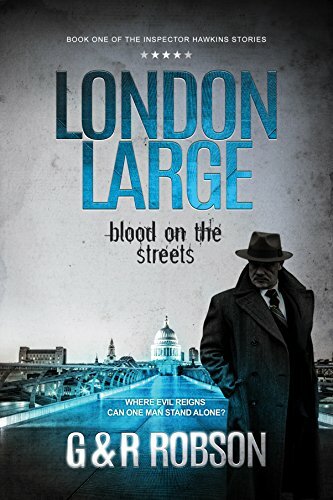 Click here to pick up your free copy of London Large – Blood on the Streets in the Amazon Kindle store. Step into a world filled with magic, romance, and adventure! With over 700 5-star reviews on Goodreads! There is no such thing as a mage. There is certainly no such thing as a vampire, pixie, werewolf, or fallen angel. And they certainly do not all attend a college together called Paranormal Public University. Can Charlotte get a handle on her powers in time to save the school she loves? 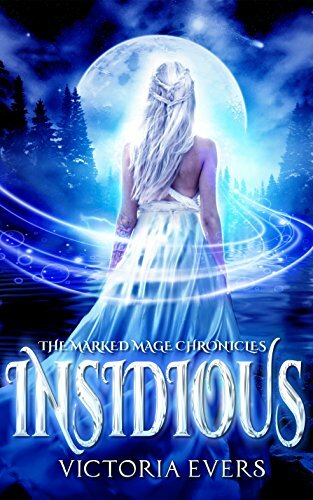 Can she fulfill a destiny the paranormals scarcely dared to hope for? Or will she be too late? Click here to pick up your free copy of Paranormal Public in the Amazon Kindle store. Class warfare is alive and well. 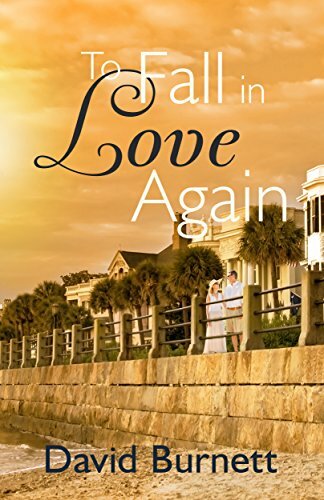 After her husband’s death, Amy had never expected to fall in love a second time, but when she meets Drew, the attraction is immediate. However, when Drew brings her into his world—a world of old money and high society—by inviting her to the Society Ball, battle lines are drawn. A woman at her office tells Amy she won’t fit in, and Amy’s older daughter agrees. As the Ball begins, Amy is cornered by one of Drew’s neighbors, who tells her she doesn’t belong there. The attorney who is probating her late husband’s will, a man she thought to be a friend, seems to object to her presence, too. 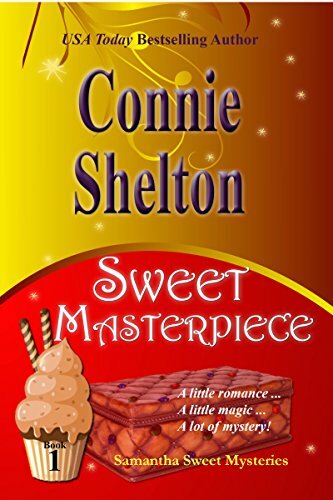 With so many people pushing her out of Drew’s world, she finds it hard to believe he could really want to pull her in. Is Drew really just like the rich snobs who despise her? Does he have some ulterior motive? As she ponders those questions, she realizes she is left with a choice: put her fears aside and follow her heart or break off their relationship and lose her chance to love again. Click here or type in http://geni.us/fallinlove into your web browser to pick up your copy of To Fall in Love Again in the Amazon Kindle store. A lovely romance woven into swashbuckling action that will keep you enthralled for many a dark night. Lieutenant Karl Thorsen, sworn to avenge the murder of his father, is a King’s man. He is determined to stop the violent smugglers, hang them, and hang and gibbet one in particular. Daniel Tynton has smuggling in his blood. Undaunted by Thorsen’s threats, he is respected and feared. The choices we make determine our futures and Lucy is torn between two determined men. Click here or type in http://geni.us/onedarknight into your web browser to pick up your copy of One Dark Night in the Amazon Kindle store. It looks like disbarred attorney Bobby Custer has won the lottery. After serving four years of a seven-year sentence, he gets an offer he can’t refuse – from the feds. They just want him to keep an eye out for shady goings-on at one of the most prestigious law firms in the city. And suddenly he’s out – out of jail, but also totally cast out of his old life: shunned by family and friends, working the hallways and back alleys of the legal game and finding plenty of shady dealings to keep an eye on. He’s psychotic, narcissistic, psychopathic, greedy, unprincipled … and always charming. He did all the right things — went to law school, got a job in a good law firm — right up until the conviction for “a minor dalliance with a trust fund”. You could almost feel for the guy – a young man tempted by the high life could make a mistake he regrets and end up losing everything. And a guy who’ll help you hide a body could just be a good friend. But as the bodies start piling up, you have to wonder if there’s something about Bobby that’s just not … right. A combination of Breaking Bad and House of Cards, Corridor Man series are a collection of sinister, disturbing thrillers that are bound to keep you awake at night. Books 1-5 in the Corridor Man series. Click here or type in http://geni.us/corridormanbox into your web browser to pick up your copy of Corridor Man Vol. 1-5 in the Amazon Kindle store. From having nothing to live for, Jon suddenly finds himself the protector of someone with everything to live for, someone desperate to uncover the conspiracy that has ruined her life. Staying two steps ahead of the police, and barely one step ahead of the powerful organization that wants Jess dead, Jon discovers that Jess is harboring a secret of her own, a strange inner “voice” providing cryptic clues for them to follow. 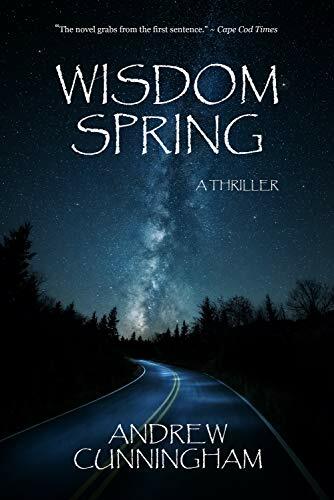 Part political thriller and part chase novel, Wisdom Spring takes readers on a fast-paced, suspenseful ride along the highways of the U.S. and Canada, into the far reaches of the Alaskan wilderness. Along the way, the two unlikely heroes transition from helpless prey into proficient hunters as the mysterious clues eventually lead them to a violent final confrontation with corrupt forces at the highest levels of government. Click here or type in http://geni.us/wisdomspring into your web browser to pick up your copy of Wisdom Spring in the Amazon Kindle store. 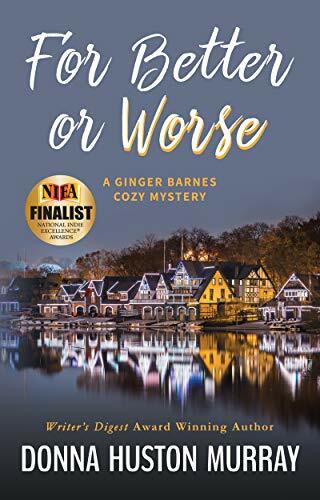 Finally back to her spunky self after the loss of her husband, men have once again become an issue for amateur sleuth Ginger Barnes—men who mistreat their wives, men accused of murder, and men who ask her out. While working on a DIY project at her newlywed daughter’s house, a bag of bricks is thrown from the neighboring third-story window. Next, pops that sound like muffled gunshots have Gin racing for her phone. Eric, who lives in the house with his grandmother, claims she’s obsessed with mystery novels. Yet after the septuagenarian falls down a flight of stairs, she’s so frantic to keep Eric away that Gin must intervene. 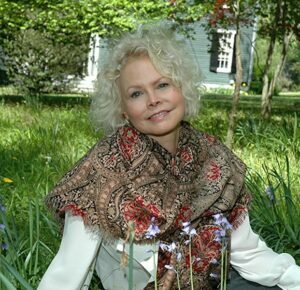 Was the fall actually attempted murder?In her husband’s eyes, Cissie Voight can’t do anything right. Gin occasionally helps the frazzled young mother, and when she needs a dresser carried upstairs, Gin brings Eric along. Bad move! The electricity between the two new acquaintances sparks a chilling premonition. This time Gin’s good intentions will produce grave consequences—for everyone involved. Click here or type in http://geni.us/betterworse into your web browser to pick up your copy of For Better or Worse in the Amazon Kindle store. Kathleen Grant, new to her job at a major New York City opera house, is stunned when she experiences ghostly transformations during performances of the opera Don Carlo. 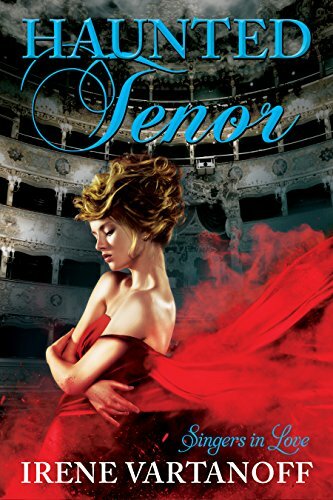 Strange dreams and even stranger compulsions make her repeatedly seek out the opera’s hot star singer, JC Vasquez. Is she crushing on the real man, or has she confused him with the sixteenth century prince he plays on the opera stage? Spanish tenor JC Vasquez at first accuses Kathleen of being a stalker, but as the weird events escalate, they become romantically entangled despite all the reasons they shouldn’t. 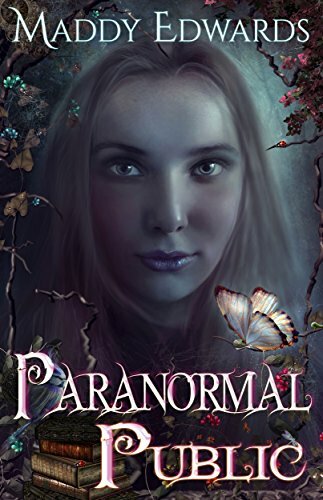 With her emotions and her job at risk, Kathleen resorts to wild ploys in her attempts to obey the ghost’s insistent demands—even though it means ignoring the barriers JC has erected against her. Click here or type in http://geni.us/hauntedtenor into your web browser to pick up your copy of Haunted Tenor in the Amazon Kindle store. Philip McReynolds is a young man coming of age in a world that says that greed, selfishness and being sexually experienced are things that are expected of a young man. However, this is not the type of person Philip is. 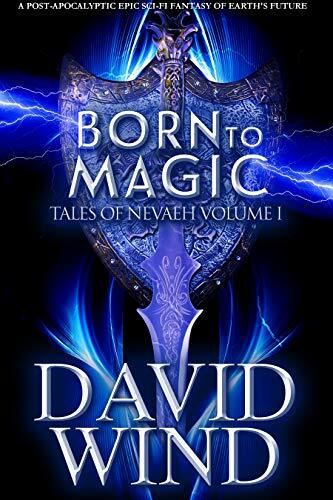 He is a reader, a writer, a dreamer of dreams, and when he meets the girl of his dreams, a 17-year-old beauty named Amanda, he begins the journey to break free of his mother’s possessiveness and become Amanda’s knight in shining armor. 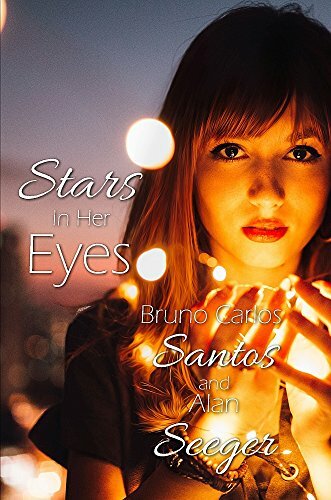 Click here or type in http://geni.us/starsineyes into your web browser to pick up your copy of Stars In Her Eyes in the Amazon Kindle store. Tampa Two marks the return of Judy Atkin, the teenage runaway who P.I. Burnside arrested a decade earlier for prostitution. He made an enormous mistake by trying to help her, and wound up losing his job as an LAPD officer, along with his honor and reputation. Judy was the catalyst that led him down the path of becoming a Private Investigator, and all the good and bad that came with it. But Judy is back in L.A. again, and is desperate for Burnside’s help. Her life is in danger, and she tries to persuade Burnside to accompany her into a dangerous situation. While Burnside isn’t fooled this time, she still manages to rope him in, and he quickly finds himself to be a person of interest in a grizzly Santa Monica homicide. Tampa Two continues to showcase Burnside at his wise-cracking best, exchanging quips with an assortment of fascinating characters, no matter what side of the law they are on. This well-crafted novel is the embodiment of the classic Southern California noir mystery, set against a Los Angeles backdrop, a city that many think they know, but few really do. The story leads readers down a trail of theft, murder and deceit, with sharply honed banter and strikingly original characters. It is a tightly written story that is loaded with both suspense and humor, as well as some jaw-dropping surprises! 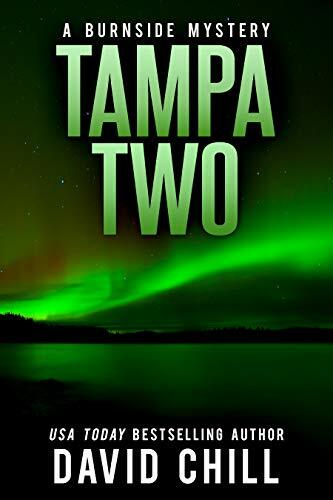 Click here or type in http://geni.us/tampatwo into your web browser to pick up your copy of Tampa Two in the Amazon Kindle store. 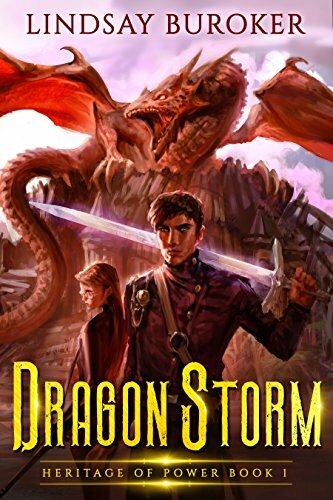 Click here or type in http://geni.us/dragonstorm into your web browser to pick up your copy of Dragon Storm in the Amazon Kindle store. It’s Halloween in the French Quarter as P.I. Wyatt Thomas traces his missing girlfriend to a mysterious convent hidden deep in south Louisiana’s Honey Island Swamp. Even if he manages to find her and they both survive, will their relationship ever be the same? 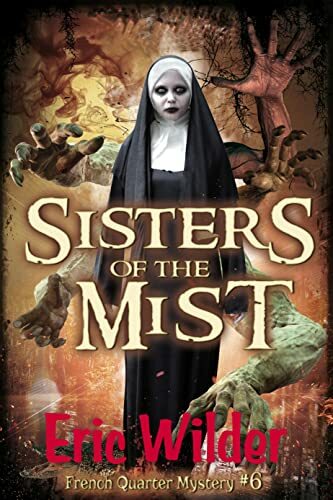 Click here or type in http://geni.us/sistersmist into your web browser to pick up your copy of Sisters of the Mist in the Amazon Kindle store. 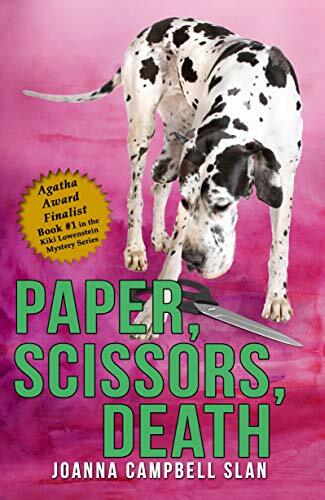 Click here or type in http://geni.us/122917 into your web browser to pick up your copy of Paper, Scissors, Death in the Amazon Kindle store. You can visit Joanna’s Amazon author page if you click here or type in http://geni.us/jcslan into your web browser. A madman terrorizes Seattle, attempting to recreate the nine circles of hell by using the blood and bodies of the innocent. Detective Robi Darcmel, a gifted yet troubled savant, is the only man standing in the path of this pathological killer. As the fate of the Emerald City hangs in the balance, can Darcmel overcome his failings or will Seattle burn to ash? 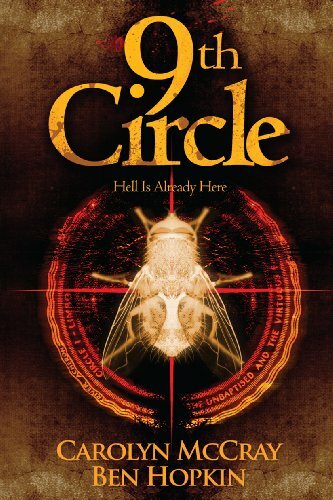 Click here to pick up your free copy of 9th Circle in the Amazon Kindle store. DIVORCE, BETRAYAL, MURDER – Avery Wilson knew starting over would be hard, but she never expected to be in an all-out war with her ex. What was he planning next? Her goal of equine rehabilitation for wounded veterans on her Alabama horse ranch was slipping from her grasp, and her precious horses were in danger. Dirks Hanna had what should have been a simple mission – evaluate Summer Valley Ranch for federal funding. But something deadly was happening in Summer Valley. The beautiful – and headstrong – equestrian was targeted for harm with danger in every direction. And, intertwined with that danger, was a multi-faceted black cat who somehow appeared at the scene of every disaster. 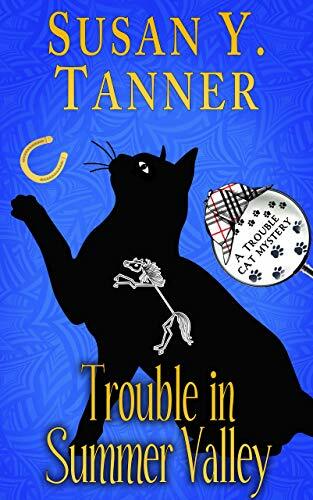 Trouble had arrived at the ranch anticipating bitter human emotions to run high, but the black cat finds his paws more than full with murder and two very stubborn humans who refuse to see they are meant for each other. Click here or type in http://geni.us/summervalley into your web browser to pick up your copy of Trouble In Summer Valley in the Amazon Kindle store. 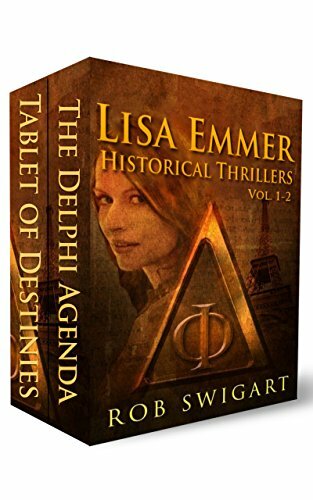 Papyrologist Lisa Emmer’s world flips when the Surete meets her at her Metro station with news of the savage murder of the esteemed Paris historian Dr. Raimond Foix, her friend and mentor in the study of ancient documents. 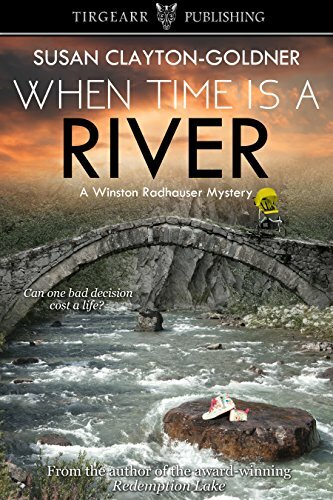 Horrified, Lisa finds clues at the crime scene left behind for her by her mentor—clues to secrets kept hidden for centuries, one of which is Lisa’s own identity, secret even from her. Since she was a child Lisa had suffered from uncontrollable fugue states. 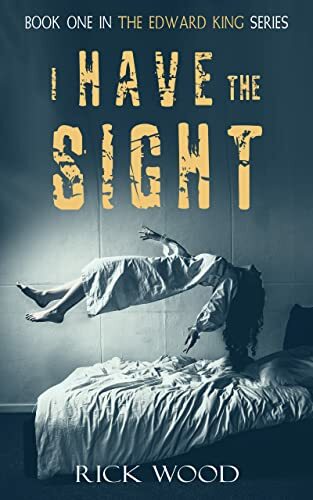 Now she discovers just in time that what she always thought was a liability may in fact be an almost paranormal ability to see things in ways others cannot. THE INQUISITION IS BACK! AND THIS TIME THEY HAVE TECHNOLOGY. Papyrologist Lisa Emmer’s friend and mentor, esteemed Paris historian Dr. Raimond Foix, has been savagely murdered. Now Lisa is not only a prime suspect in the murder investigation, but also smack-dab in the cross-hairs of a deadly commando group that proves to be none other than a contemporary offshoot of the Inquisition. Desperate to clear her name and to stay alive, with the help of a handsome yet mysterious banker, Lisa must solve the clues and uncover the millennia-old secret before her adversaries can find and destroy it. The trail leads everywhere from ancient cemeteries and tombs throughout France to Istanbul and Greece, as Lisa and Steve desperately stay one step ahead of their enemies, solving the clues to a dangerous treasure hunt their lives now depend upon. Yet very close to the current home of Lisa Emmer, chosen the Pythia, head of the Delphi Agenda because of her gift of sight, and trained in ancient world studies by a mentor who promised to “teach you life”; more accurately, he might have said “teach you to save the world from evil.” Prophecy is Lisa’s bailiwick—she’s the modern-day Delphic Oracle, head of a secret organization whose purpose is to protect the world from rogue conspiracies within the Church. Now, in a suspenseful race against an alignment of planets and comets that signals the “wondrous child’s” impending birth, Lisa speeds to find and protect the mother and child. If she’s too late, “disruption” will take on a devastating new meaning. 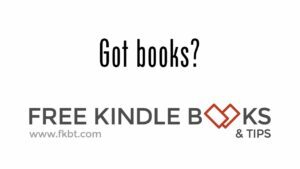 Click here or type in http://geni.us/lisaemmer into your web browser to pick up your copy of Lisa Emmer Box Set in the Amazon Kindle store. Five years ago, locals found a dead woman in the woods. Naked. A bullet in her chest. Bleach covered the crime scene, destroying all DNA evidence. Detective Alan Tremock took the case as far as possible, risking his marriage and health to find the killer—but in the end, the case went cold. Now, five years later, Tremock gets a call to the same location. Another body. It’s naked with a bullet lodged in the torso. Bleach drenches everything. John Hilt kills people. Not often nor carelessly, but only when a certain voice whispers to him. John is sporadic, yet meticulous. He’s also wealthy. He’s a corporate executive and well known in his community. His amazing wife and children love him. His father and sister adore him. No one would ever think John a serial killer. 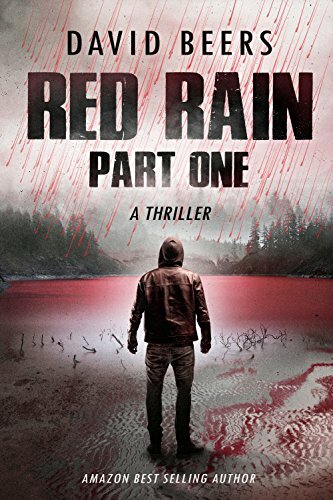 Click here or type in http://geni.us/redrain into your web browser to pick up your copy of Red Rain in the Amazon Kindle store. Do some wounds go too deep to ever heal? Must Eva’s Choice forever deny Kate real happiness? 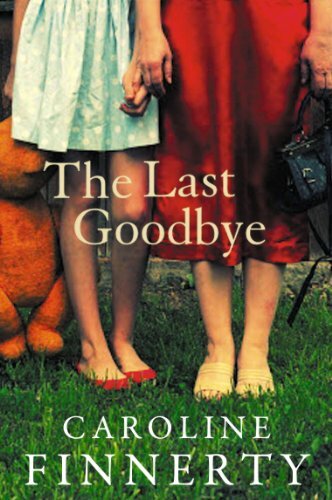 The Last Goodbye is a powerful story of love and loss, forgiveness and new beginnings – a heart-wrenching and emotional page-turner for mothers and daughters everywhere. Click here or type in http://geni.us/lastgoodbye into your web browser to pick up your copy of The Last Goodbye in the Amazon Kindle store. 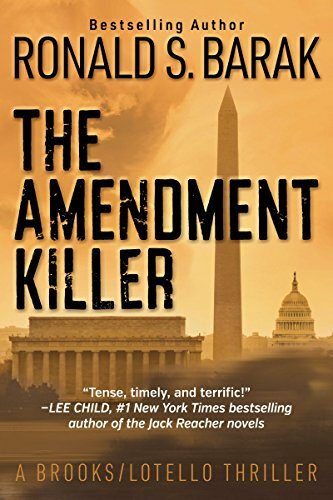 Click here or type in http://geni.us/122817 into your web browser to pick up your copy of The Amendment Killer in the Amazon Kindle store. 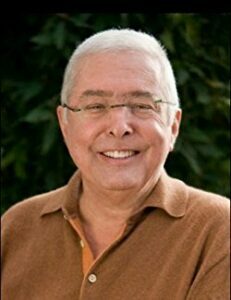 Barak derives great satisfaction in knowing that his books not only entertain but also stimulate others to think about how things might be, how people can actually resolve real-world problems. In particular, Barak tackles the country’s dysfunctional government representatives—not just back-seat driving criticism for the sake of being a back-seat driver, but truly framing practical remedies to the political abuse and corruption adversely affecting too many people’s lives today. Barak’s extensive legal background and insight allow him to cleverly cross-pollinate his fiction and today’s sad state of political reality. You can visit Ron’s Amazon author page if you click here or type in http://geni.us/barak into your web browser. 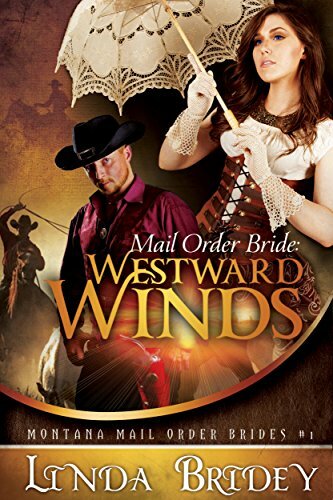 Click here to pick up your free copy of Mail Order Bride: Westward Winds in the Amazon Kindle store. 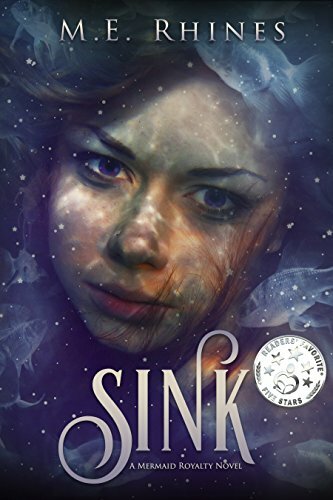 A heart-wrenching historical inspirational romance novel spanning seventy years, two continents, and a an imagined story that holds the power to create a safe future for a young girl during World War Two. This page-turning family saga soars to a breathtaking ending that redefines the meaning of love. 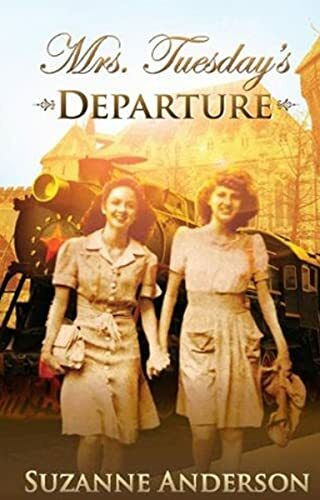 When Natalie and Anna, sisters and life-long rivals, hide an abandoned child from the Nazis in Budapest Hungary, their struggle re-opens a star-crossed love triangle and inspirational romance, threatening their safety and testing the bonds of their loyalty. 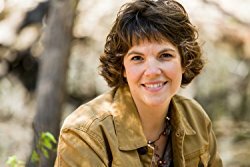 Hungary’s fragile alliance with Germany during World War Two insured that Natalie, a best selling children’s book author, and her family would be safe as World War Two raged through Europe. The Holocaust that has only been whispered about until now becomes a terrible reality for every Jewish family or those who hide Jews. Beautiful but troubled Anna, a poet and university professor is losing her tenuous hold on reality, re-igniting a dangerous sibling rivalry that began in childhood. She threatens not only Natalie’s inspirational romance, but both of their lives. The streets of Budapest, Hungary echo with the pounding boots of Nazi soldiers at the height World War Two. Danger creeps to the doorstep where the sisters’ disintegrating relationship threatens to expose the child they are trying to protect. 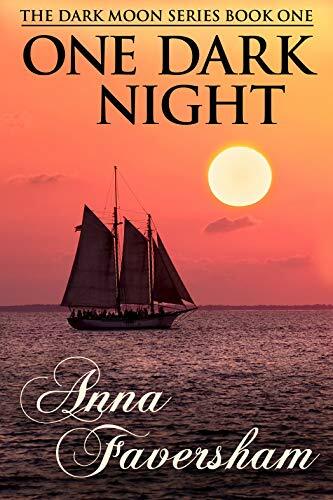 In one night, Anna’s rash behavior destroys their carefully made plans of escape, and Natalie is presented with a desperate choice. Interwoven with Natalie and Anna’s story, is Mila’s. The abandoned child whose future Natalie lovingly imagines in a story about an old woman named Mrs. Tuesday. Click here to pick up your free copy of Mrs. Tuesday’s Departure in the Amazon Kindle store. Ford Atticus Ford, former host of the hit ghost-hunting reality show Graveyard: Classified, has more than a few regrets—especially after young Chelsea Hopper was attacked by a demon. Assisting police departments by conducting paranormal investigations and uncovering buried clues now provides Ford with an ounce of redemption, but it will never be enough. What occurred on that long-ago Halloween night was unforgivable, and Ford, chasing ratings and stardom, let it happen. With Graveyard cancelled and his reputation destroyed, Ford sets out to avenge little Chelsea, and to save his own soul—if he can. 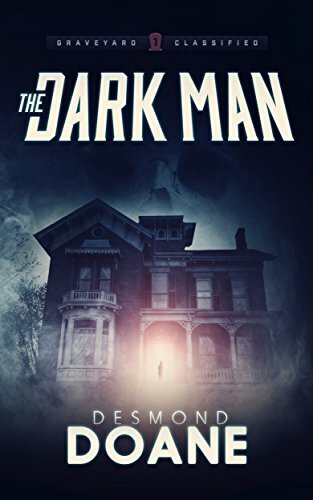 Click here to pick up your free copy of The Dark Man in the Amazon Kindle store. 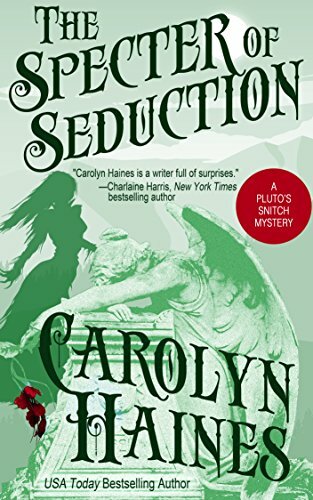 Waverley Mansion, a unique and lovely antebellum home in northeast Mississippi, offers the most dangerous challenge yet to Raissa James and her partner in the Pluto’s Snitch private detective agency. They specialize in hauntings, possessions, and the occult. The bitter past plays a major role in the nightmare of the present—and Raissa and Reginald must find the answers to who—or what–was Nora Bailey, a woman reputed to be not only a Union spy in the heart of the South, but also one whose promiscuity put the men who loved her at risk. Raissa and Reginald can trust no one—especially not the dead–because the dead lie. Click here or type in http://geni.us/thespecter into your web browser to pick up your copy of The Specter of Seduction in the Amazon Kindle store. 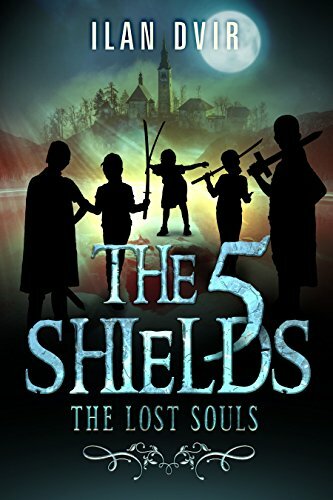 Click here or type in http://geni.us/fiveshields into your web browser to pick up your copy of The Five Shields: The Lost Souls in the Amazon Kindle store. Click here or type in http://geni.us/deadlyalliance into your web browser to pick up your copy of Deadly Alliance in the Amazon Kindle store. 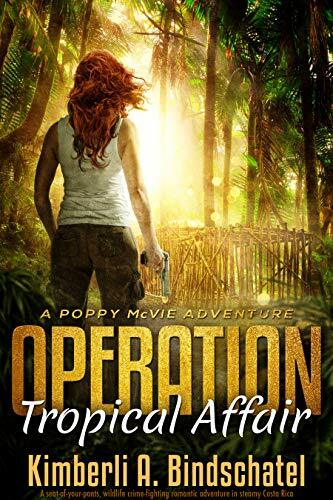 Click here or type in http://geni.us/tropicalaffair into your web browser to pick up your copy of Operation Tropical Affair in the Amazon Kindle store. Born and raised in Michigan, I spent summers at the lake, swimming and chasing fireflies, winters building things out of cardboard and construction paper, writing stories, and dreaming of faraway places. Since I didn’t make honors English in High School, I thought I couldn’t write. So I started hanging out in the art room. The day I borrowed a camera, my love affair with photography began. Long before the birth of the pixel, I was exposing real silver halides to light and marveling at the magic of an image appearing on paper under a red light. After college, I freelanced in commercial photography studios. During the long days of rigging strobes, one story haunted me. As happens in life though, before I could put it to words, I was possessed by another dream–to be a wildlife photographer. I trekked through the woods to find loons, grizzly bears, whales, and moose. Then, for six years, I put my heart and soul into publishing a nature magazine, Whisper in the Woods. But it was not meant to be my magnum opus. This time, my attention was drawn skyward. I’d always been fascinated by the aurora borealis, shimmering in the night sky, but now my focus went beyond, to the cosmos, to wonder about our place in the universe. Most recently, my focus has shifted to more pressing issues—imperiled wildlife. With the Poppy McVie series, I hope to bring some light into the shadowy underworld of black market wildlife trade, where millions of wild animals are captured or slaughtered annually to fund organized crime. IT. MUST. STOP.